Today on the blog we have two stories from our CCA Alums & Adults committee. Growing up with a facial difference often involves a lot of talking about yourself: Introductions... answering questions... explanations... and as we move into college and career, sometimes that means giving interviews, too. As both Joe Brooks and Casey Deakins can express, there are good days and bad days but in the end, we only increase awareness and acceptance by making connections with others. And that is just what these two CCA Alums are doing well! Today we're proud to feature a reblog from The Blue & Gray Press, The University of Mary Washington's student newspaper where Joe Brooks is a student -and- a personal graduation essay from Casey Deakins, who just graduated from The University of Central Florida. Enjoy these stories and if you're interested in joining the CCA Alums & Adults, contact us on Facebook. When Joe Brooks, a junior music major at the University of Mary Washington, contacted me, I was unfamiliar with this syndrome and disorder. Joe handed me a pamphlet from the Children’s Craniofacial Association (CCA) and advised that I read it. 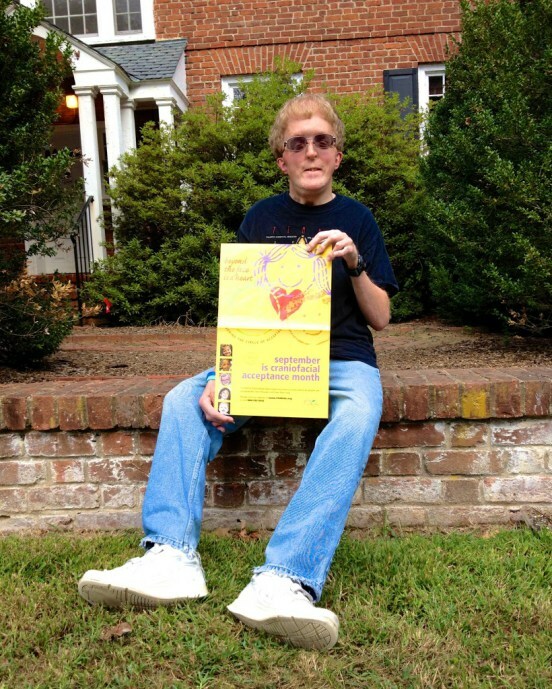 Reaching out to the Humans of UMW community is part of Joe’s effort to inform us that September is Craniofacial Acceptance Month. Craniofacial conditions vary, the most common being cleft lip and palate. You may be thinking, “Acceptance, sure. That’s easy.” But do you, reader, actually practice this? However, Joe’s sentiment changed when he began to attend Cher’s Annual Family Retreat. “I got this shirt in Arizona at the retreat. Children who have different craniofacial syndromes come together and are reminded that we are not alone, that we all have similar stories,” Joe said. These stories are centered around the many surgeries that individuals with craniofacial disorders undergo. In 2009, Joe had a surgery that kept him in the hospital for three months. At the close of the interview, I asked Joe a spotlight question traditional to Humans of UMW. What is a metaphor for your life? What mountain are you climbing now, and have you reached the top? If not, when will you? 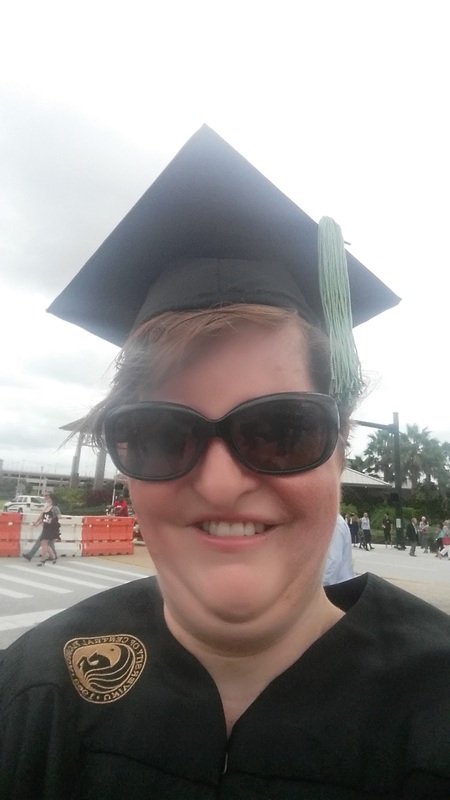 On August 8th, 2015, a little later than anticipated, I crossed the stage of the “Dungeon,” aka, the University of Central Florida CFE Arena and received my Bachelor of Science Degree in Public Administration with a focus and professional certificate in Nonprofit Management. A ten year long journey finally came to a close. On my journey, there were tears, frustration, and countless amounts of money spent on textbooks (...still trying to figure out that one but I’ll leave that story for another day!). But most importantly, I had support. Support of friends, of family, and my faith. They kept the little voice inside me going, the one that said, “I think I can, I think I can!” like the little engine from the children’s story. I would have given up in 2008 if it wasn’t for this support. If I were to give a piece of advice, I would say to believe in yourself, and surround yourself with those that believe in you. They will drown out the ones that say you can’t. And, to the world, I say this….you ain’t seen nothing yet! Congrats to these two and thank you for sharing your stories during #CAM2015!